During CES 2017, we told you how EVGA plans to take over your PC in 2017. Today, the company made strides towards that goal with the debut of its first closed-loop all-in-one liquid CPU coolers. Both the EVGA CLC 120 ($90 on Amazon) and the EVGA CLC 280 ($130 on Amazon) offer the same basic design, but with varying radiator sizes. The CLC 120 uses a smaller single-fan 120mm radiator, while (surprise!) the CLC 280 rocks a larger 280mm radiator with a dual-fan design. Those fans sit inside curved housing and feature a swooping design, which supposedly delivers reduced noise when paired with Teflon ball bearings. GamersNexus got its hands on a CLC 280 review sample and confirmed it indeed runs quieter than NZXT’s popular Kraken X62 ($160 on Amazon), while also trading blows in cooling temperatures—and for $30 less than NZXT’s cooler. 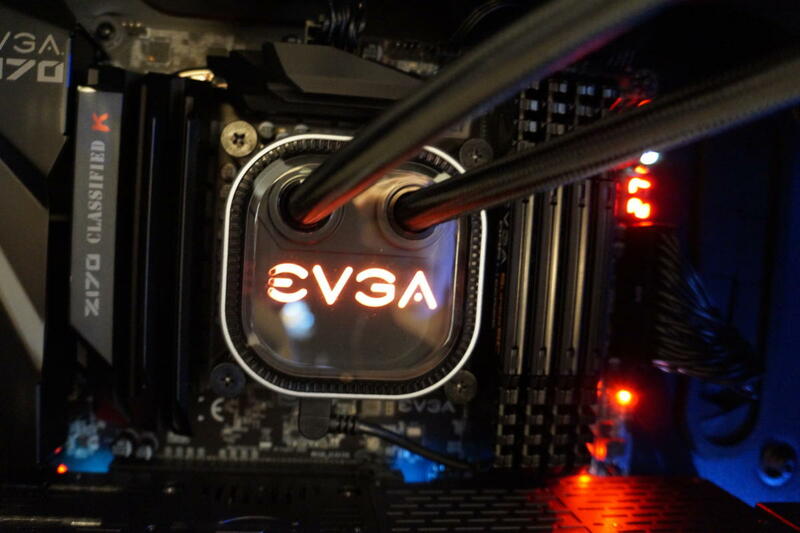 Other nice touches on EVGA’s coolers include an all-copper base, a five-year warranty, the ability to sync the CPU cooler’s glowing RGB lights with select EVGA graphics cards, and compatibility with all the usual Intel and AMD brackets. EVGA will also offer free AM4 mounting brackets when AMD’s Ryzen chips launch, and plans to release “EVGA Flow Control Software” that provides finer control over your cooler’s behavior soon. Think of it like EVGA’s vaunted PrecisionX overclocking software for graphics cards, only for your all-in-one CPU cooler instead. 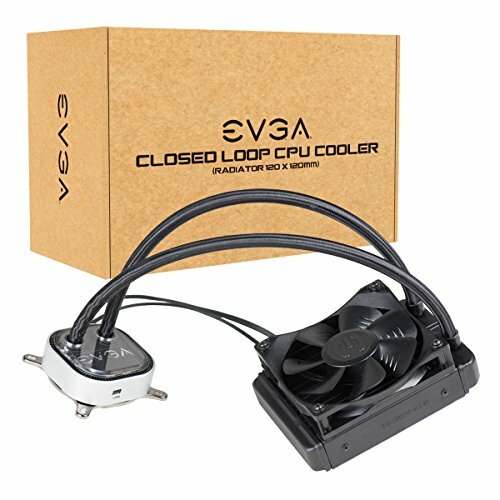 You can find more details about the new coolers on EVGA’s website. The significance for enthusiasts: EVGA's venture into CPU cooling is further evidence that the enthusiast sector of PCs is thriving. 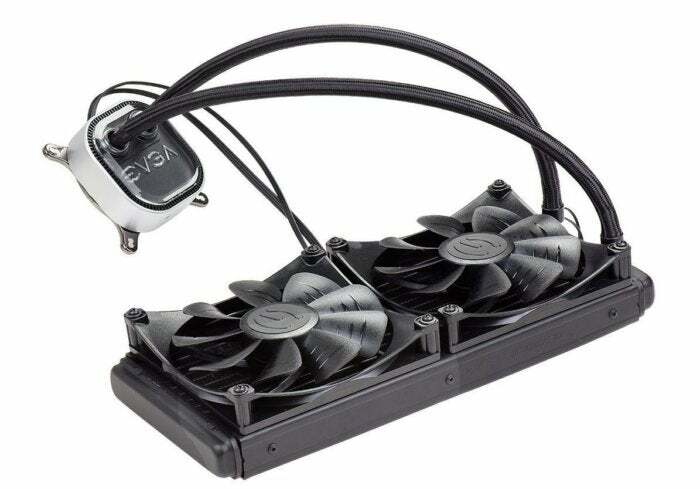 Indeed, the AIO coolers are just the tip of the iceberg for EVGA, which is poised to meet the cooling needs of more sophisticated users, as well. While all-in-one coolers are designed for simple, straightforward installation, EVGA will soon expand its selection into something much more ambitious. EVGA’s QRC, or quick-release cooling, system will mix the ease of AIOs with the flexibility of custom water-cooling setups by offering a variety of prefilled liquid-cooled components with snap-on quick-release connections at their ends. The idea is you can buy these separate AIO parts and expand the cooling system to fit the needs of your particular system. EVGA plans on offering CPU coolers, variously sized radiators, GPU coolers, and even dedicated graphics cards with QRC support when the system rolls out at some point in the near future around March, representatives now say.